Last night myself and Laura from Beauty Lovers Notes were invited to a personalised beauty shopping experience at Boots Clayton Square in Liverpool, ahead of their official open day today. This store in particular holds a special place in my heart, bringing back memories of when I was first allowed to town with my friends to go shopping on a Saturday afternoon. 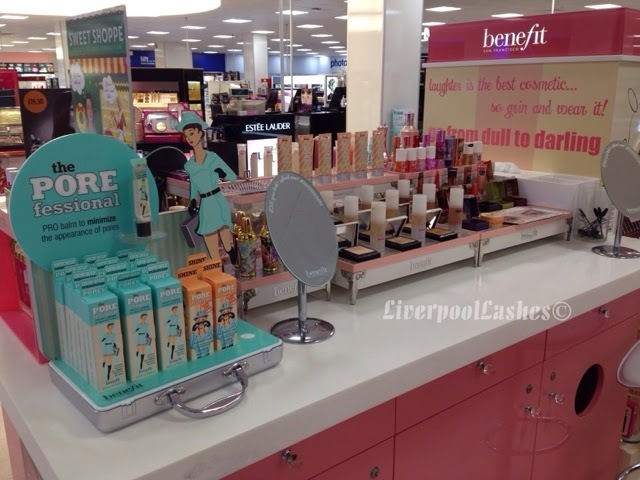 The store is celebrating a 100 years of feel good in Liverpool with a complete refurbishment, which was designed to meet the needs of their shoppers. 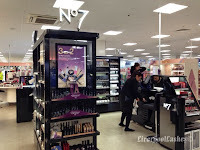 Walking through the newly extended 55,000 sq ft store, it's a beauty lovers paradise coupled with the practicality of having a pharmacy complete with consultation rooms, an interactive beauty section offering access to online tutorial, a state of the art photo centre and much more. Each different area is clean and modern with plenty of room to cater for customers, even at the height of the Christmas period. There is also now a full Boots Order & Collect service area which means that you can order from the entire Boots UK range to be ready for collection by 12pm the next day. I have to admit I'm forever ordering myself little treats in the middle of the night so this is handy the I can get my goodies within a day or two of ordering! 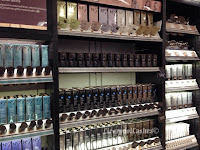 Once we were given a tour of the new layout, it was time to focus on the beauty counters and boy could I spend all day in there - seriously! I love that I can get these fantastic brands as well as collect my Boots Advantage Card points at the same time! 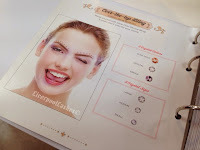 Onto our personalised beauty shopping experiences which was so much fun, all of which you can of course pop into store and try for yourself! 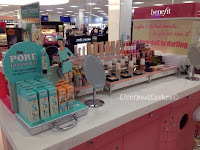 First up was Benefit where I received a make up consultation and demonstration of their amazing product line by Rachel who was extremely knowledgeable about the brand. After introducing me to their skincare line she then moved on to matching me to a foundation and applying it, along with the corresponding powder. She showed me Rockateur blush which was launched last summer along with their lip gloss which I completely fell in love with. She also mapped my brows which thankfully, were spot on considering I'm a beauty therapist! 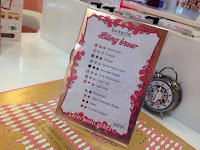 Unfortunately we ran out of time for me to experience their Bling Brow which looked super fun and fantastic for a special occasion. 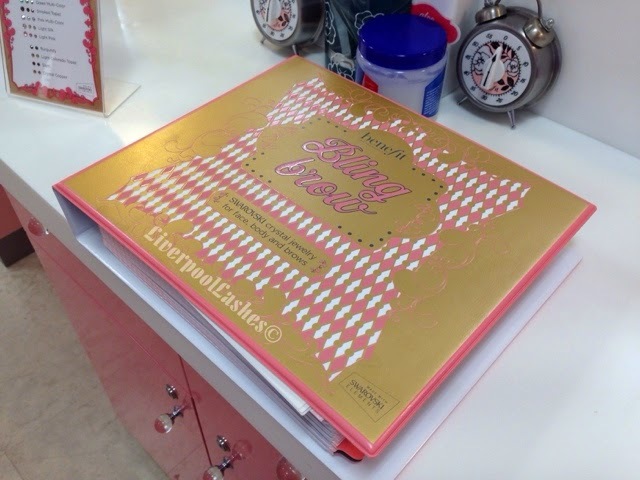 For Bling Brow you choose from their book and they apply genuine Swarovski crystals as you've chosen - how stunning! Next it was time to move to the No.7 counter where Kayleigh used their skin matching system to fit me to the perfect shade of foundation by using their special technology to take tiny photographs of my jawline. 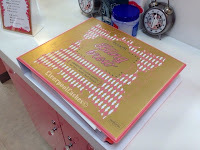 Once I was matched with my foundation, she then provided me with a card for me to keep with a list of their lipsticks that would suit my skintone which couldn't have been more spot on when she actually tried them on me, I was really impressed! 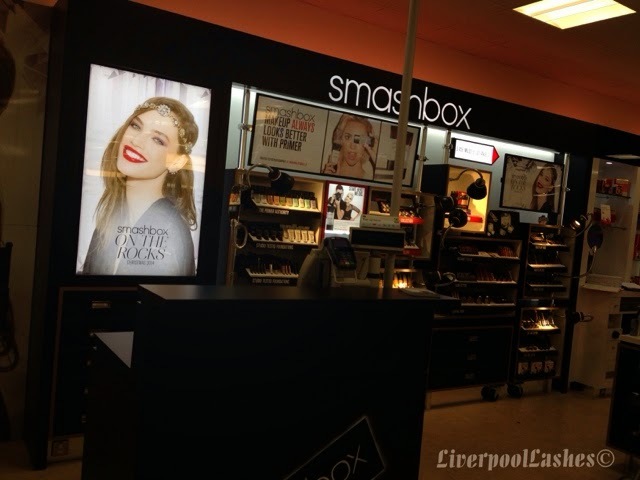 Then I moved over to the Smashbox counter where I got to get more of a feeling for the brand and what they are all about. There I learnt that it was founded over in LA as a brand used for photography which meant it had to be hardworking under the heat of studio lights. Of course, the majority of us don't need to have such long lasting products but it's a testament to them that if a product can perform fantastically in a studio, it will excel on the average person. 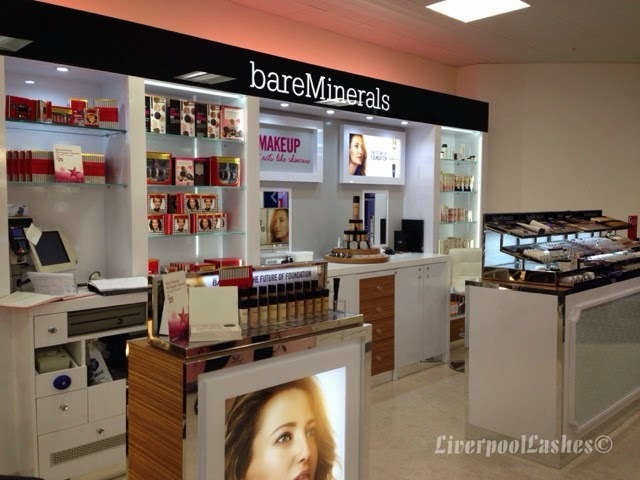 Finally it was time to move over to Bare Minerals where I was matched up to their foundations. I got to learn about why everyone raves about their products so much which ultimately is due to their mix of the power of minerals to nourish, energise and renew your skin. 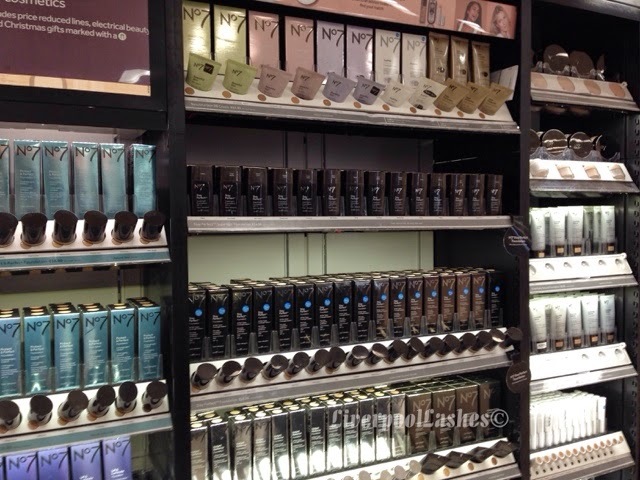 I was able to watch a demonstration of how to use the product, the more you buff their powder foundation into the skin, the more coverage it creates. In the US, their liquid and both mineral powder foundations hold the three top spots in terms of sales which is pretty phenomenal. Like all good things, our experiences were over too soon but you can guarantee I shall be back! 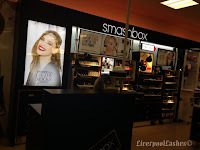 This all-new looking store is a breath of fresh air for the shoppers of the city centre and it's somewhere I shall be making a beeline for next time I'm there. Thanks so much to Beth, Fay and the entire beauty team for allowing me to have such a fantastic experience and making Laura and I feel so welcome. I highly recommend that you pop in their to try it out for yourself!